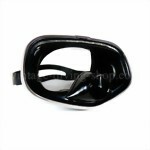 Classic Rubber diving Mask - round Shape on the same old moulds from the 50s and 60s, but it is brand spanking new. 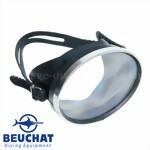 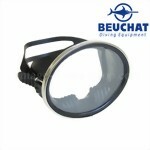 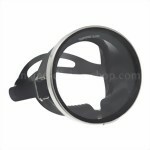 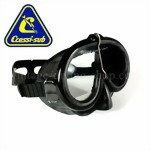 Exquis black rubber diving mask with frontal purge Valve in traditional vintage-diving style - Tempered Glass. 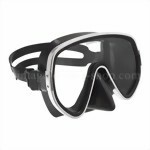 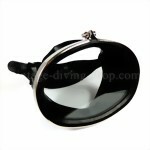 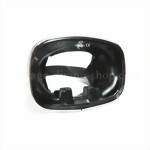 Brand new, diving Mask in traditional vintage-diving style - seven inch oval, black rubber mask. 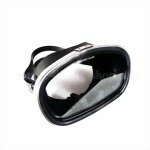 With nose pockets,Tempered Glass.